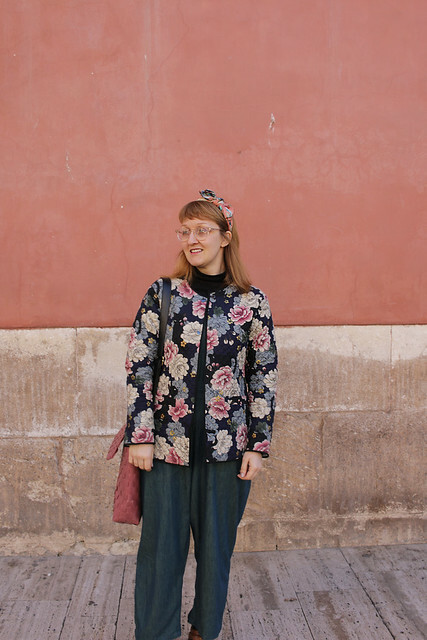 It’s the weekend and it’s actually sunny here, so I finally got chance to wear something summery and spent the afternoon eating ice cream in Henley-in-Arden, a historic market town local to me. 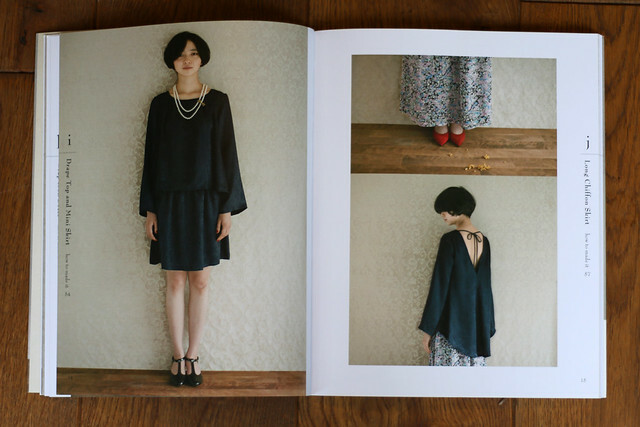 This is the Pompom Blouse from She Wears the Pants by Yuko Takada (originally published in Japan with the amazing title She has a Mannish Style). 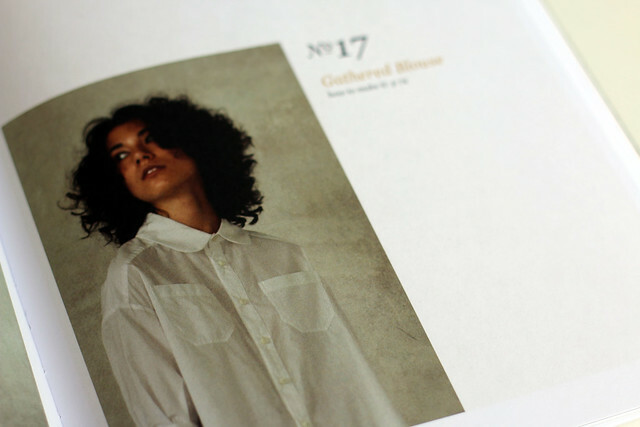 The book has been popping up quite a bit on sewing blogs, but I haven’t spotted anyone posting this blouse yet. 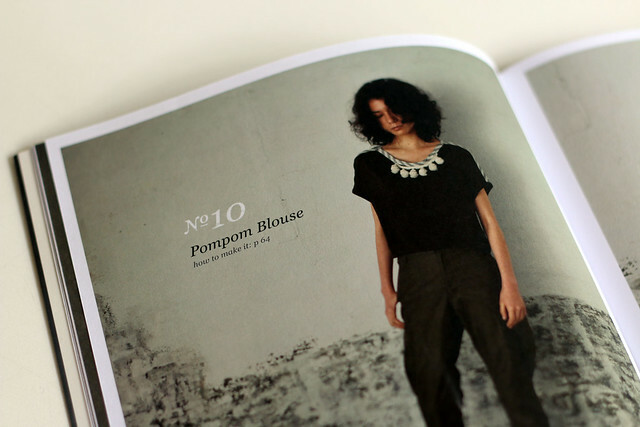 The Pompom Blouse is a loose fitting tee designed to be made in a knit fabric (the book refers to this as T-cloth on the pattern page, although there is more information in the techniques section). 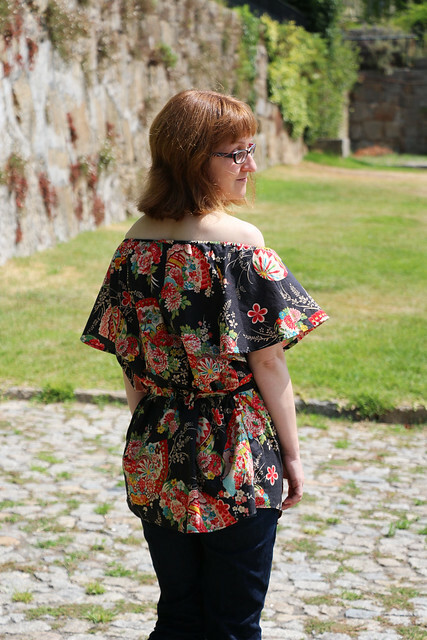 The interesting features of the top are the inclusion of a strip of pompoms at the neckline, and the method used to bind the neckline and sleeve cuffs. 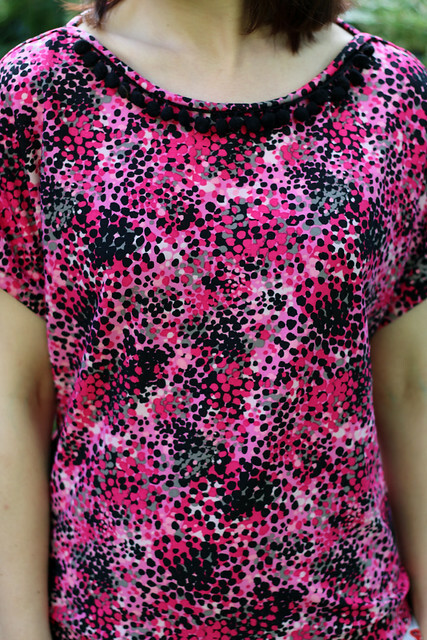 In the book, the bias used at the neckline is in a contrast colour, but I made some matching bias binding as I thought my fabric was already pretty busy. 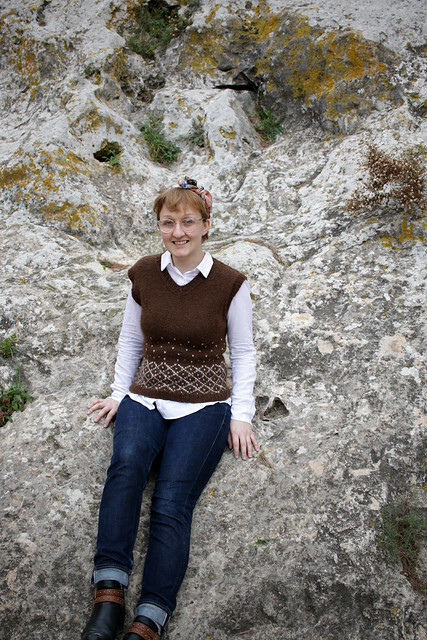 I lengthened my blouse by a couple of inches as the blouse shown in the book looks quite cropped, and I added a separate hem band (approx 1 1/2″ long), rather than turning back the hem and securing with a row of double stitching as suggested in the book. 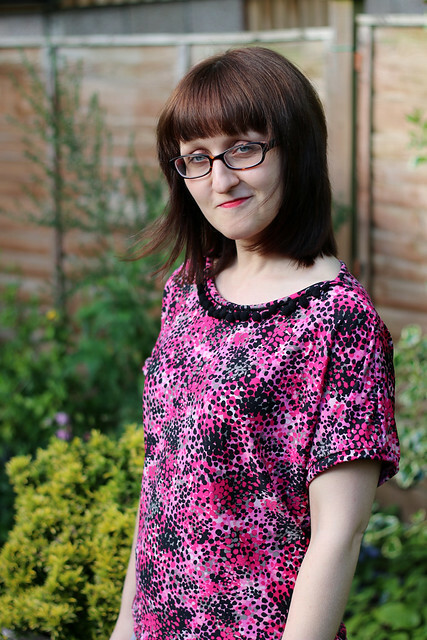 This fabric is a jersey I purchased from Stitch at the Sewing for Pleasure show at the NEC back in March. The pompoms were from my stash; I bought them years ago to make a pompom-edged cushion, but never got around it! 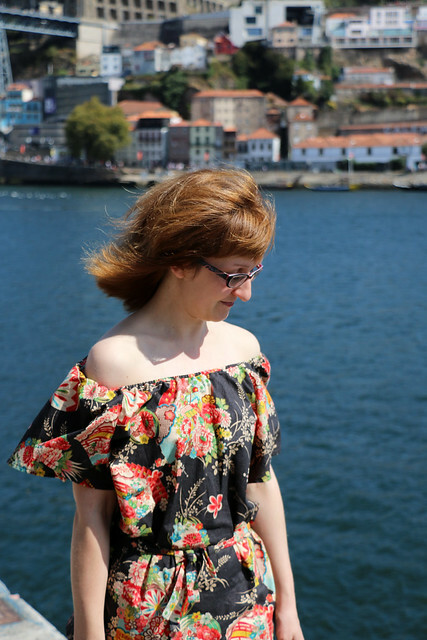 This was a quick and easy make – I recently went on a family holiday with Phil’s family and made this using my ‘travel’ sewing machine (one of the John Lewis minis) while away. 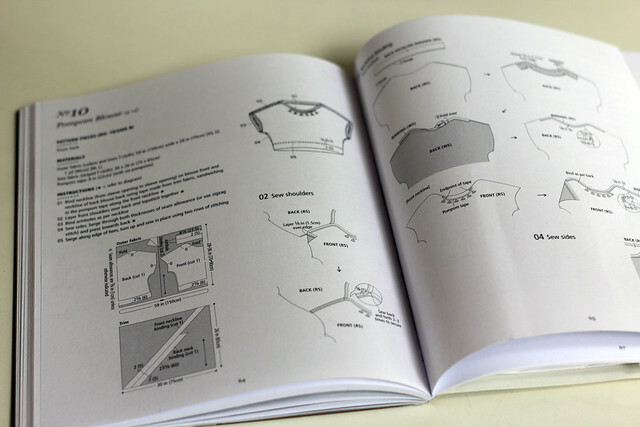 Like other Japanese sewing books, the book includes double-sided paper pattern sheets. Pattern pieces need to be traced and seam allowances added. 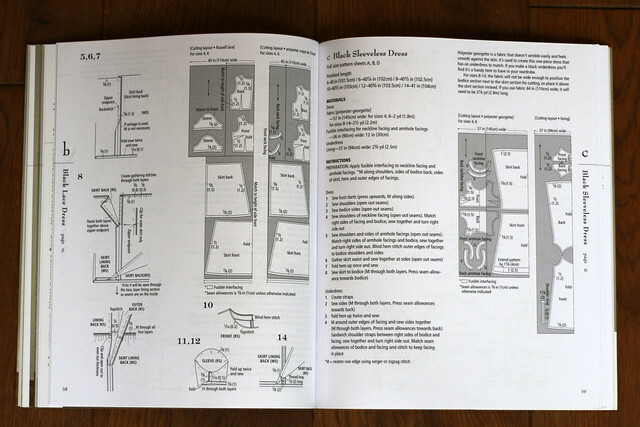 The instructions for each pattern include a diagram showing where to add seam allowances. 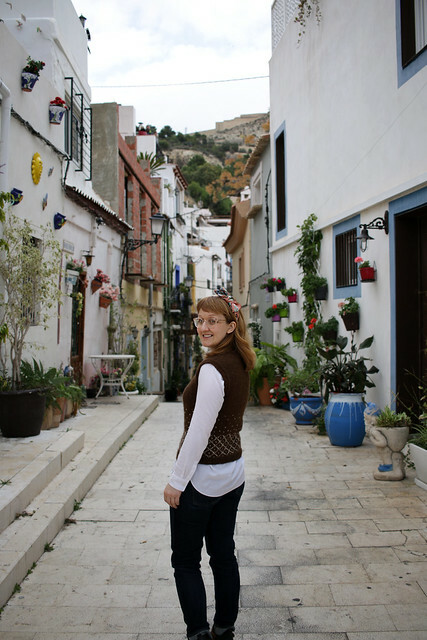 Typically, written instructions are minimal, but diagrams are included for each step. 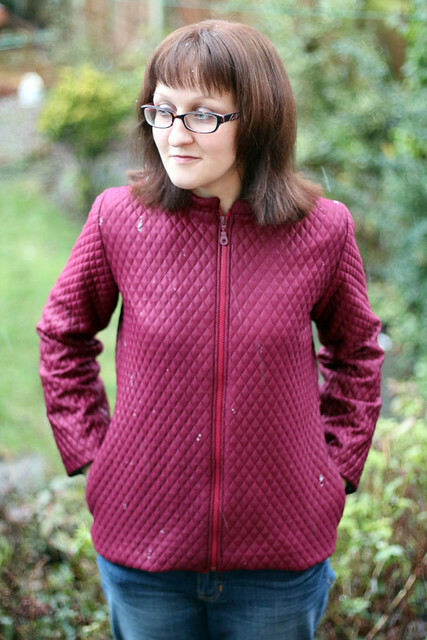 This top was very straightforward, but some of the more complicated patterns in the book (jackets, coat) would be more suited to intermediate sewists who are comfortable with less detailed instructions. 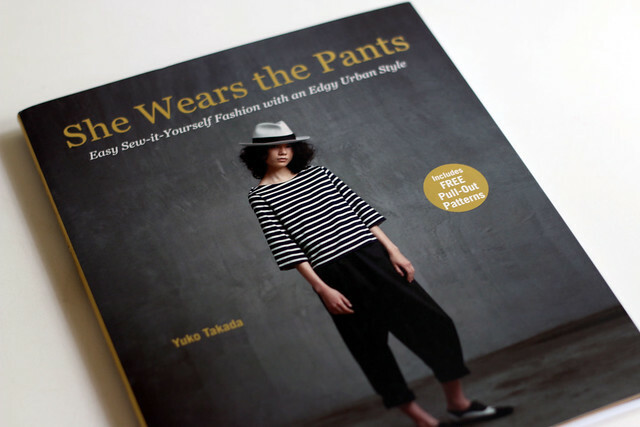 I love the ‘mannish’ style of the She Wears the Pants designs, and the grungy styling of the book. 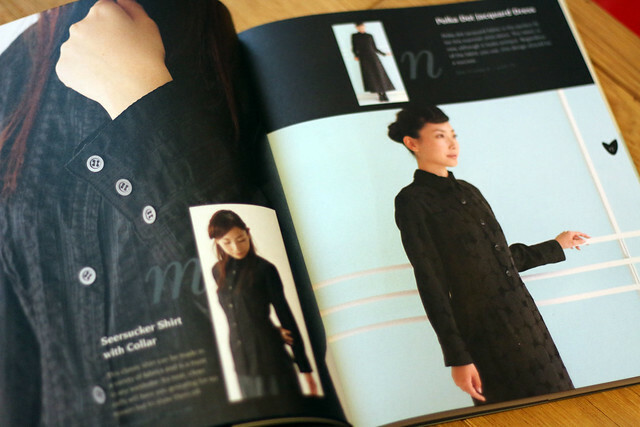 The only issue I have with the book is that the lighting in the photos is dark, and quite a few of the items are made in black fabric – making it difficult to see the details of the clothing. 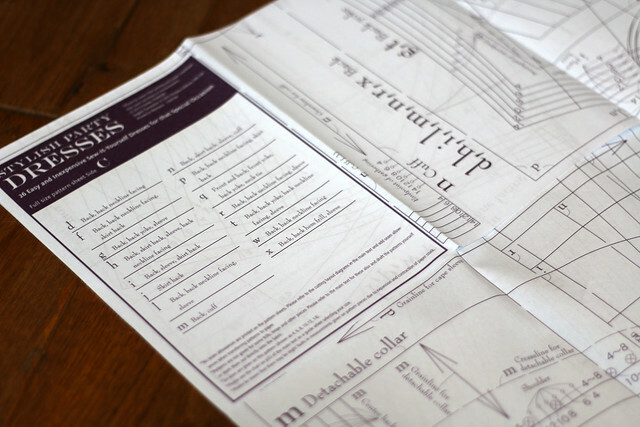 Detailed line drawings are included for each pattern so that you can confirm the details before choosing what to sew. 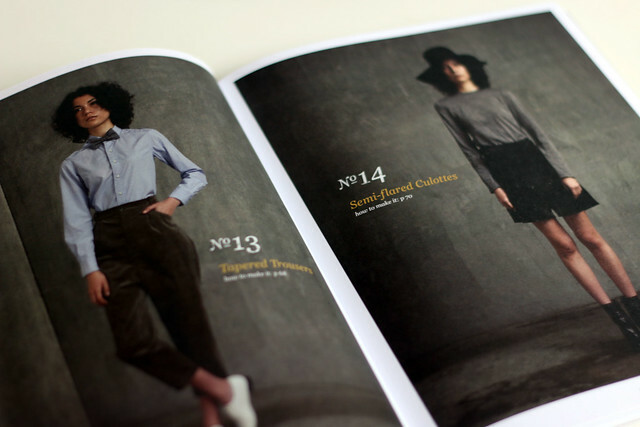 The patterns included in the book cover a wide range of garments for woven and knit fabrics, including trousers, dresses, tops, jackets, a skirt, and culottes. There’s even one knitting pattern included, for a rather unusual belt sole. One thing to note is that the size range of the patterns in the book is quite limited. 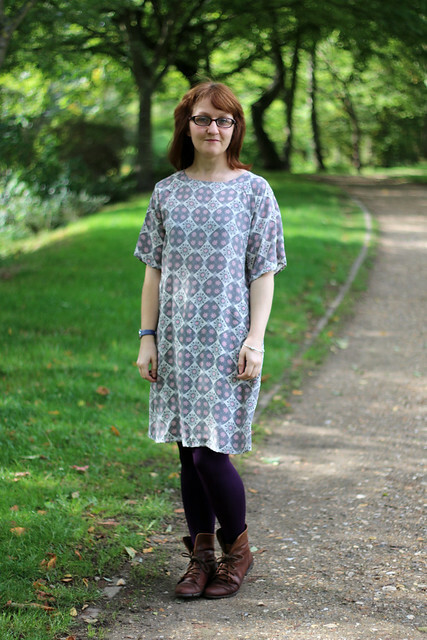 I made a size small and found the sizing accurate, although this top is quite loose fitting due to the boxy style. 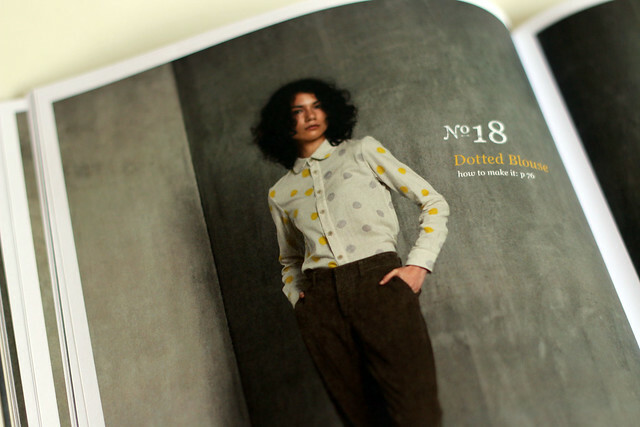 Other patterns in the book include less positive ease and match the sizing chart more closely. 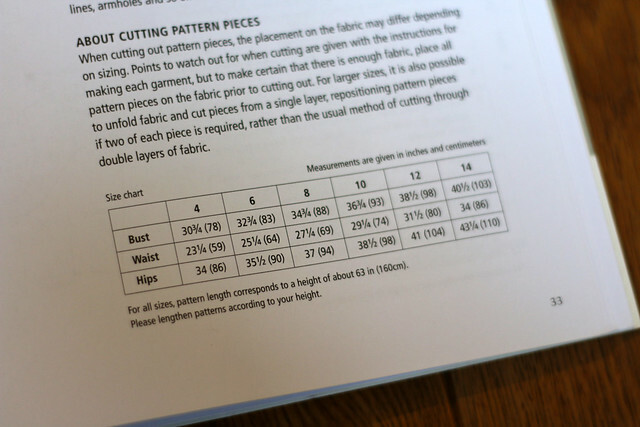 The book doesn’t provide any information on the finished size of garments so you’ll need to measure the pattern pieces if you want to check the ease allowed prior to cutting out your fabric. 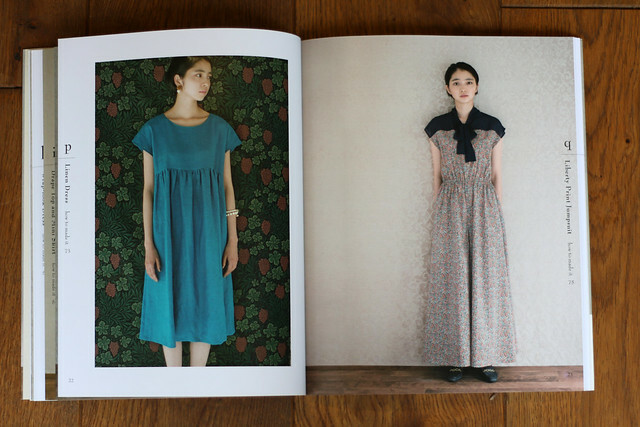 I’ve sewn another couple of garments from the book which I’ll post soon. In the meantime enjoy some of that mean and moody photography! 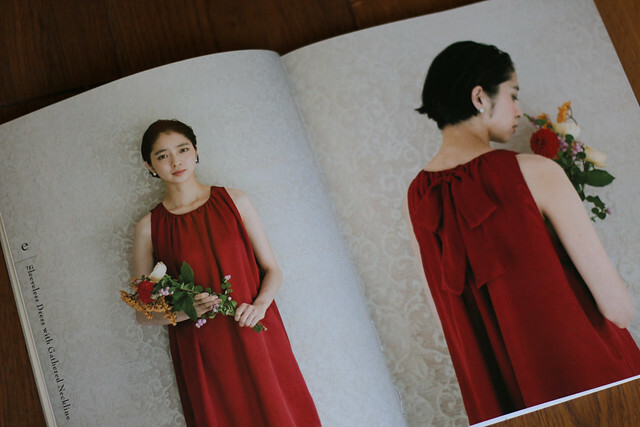 Categories: book review, Sewing | Tags: blouse, book, Japanese, knit, pattern, pom pom, pompom, pompom blouse, sew, sewing, She has a mannish style, she wears the pants, tee | Permalink. 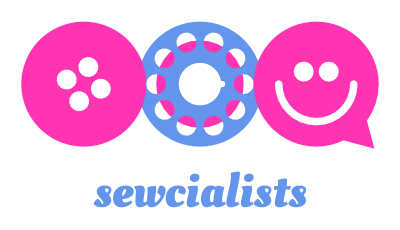 Have you seen the Japan Sew Along (#jsa2015), taking place on Tanoshii? 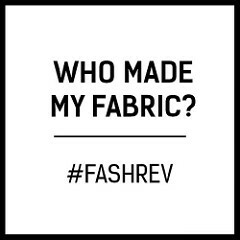 I learned about it on Instagram, courtesy of Sew Busy Lizzy. 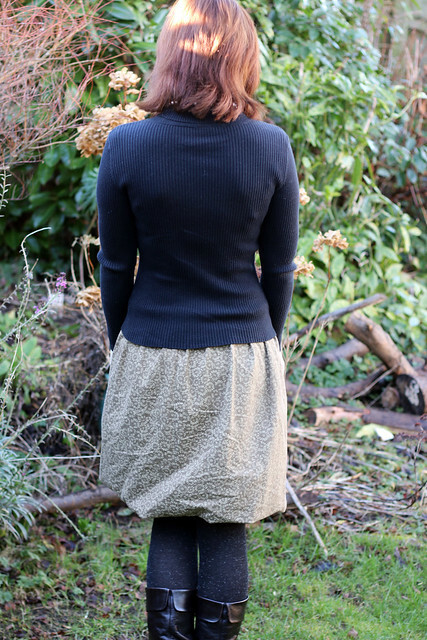 This is my contribution to the sew-along, based on the short variation of the Balloon Skirt from Stylish Skirts: 23 Simple Designs to Flatter Every Figure by Sato Watanabe. 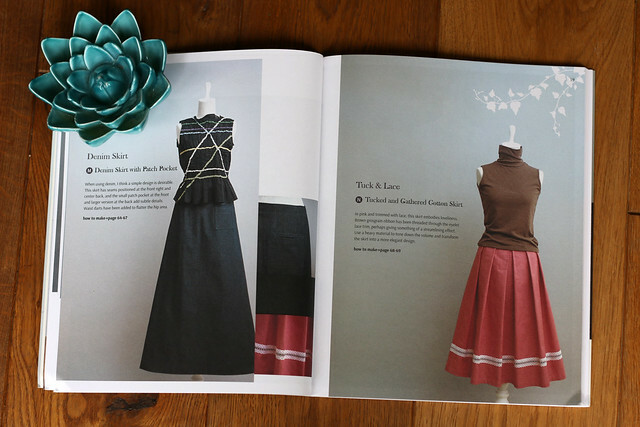 The premise of Stylish Skirts is that the book provides you with instructions to draft each of the projects included. No paper patterns are included. 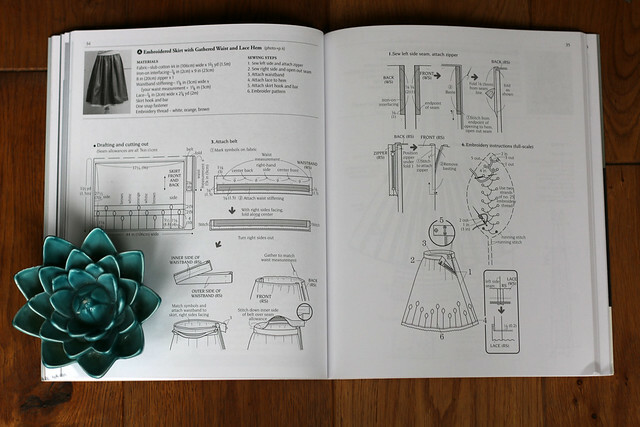 Given that the premise of the book is to support you to draft skirts yourself, I didn’t worry too much about strictly following the instructions in the book when making this skirt. 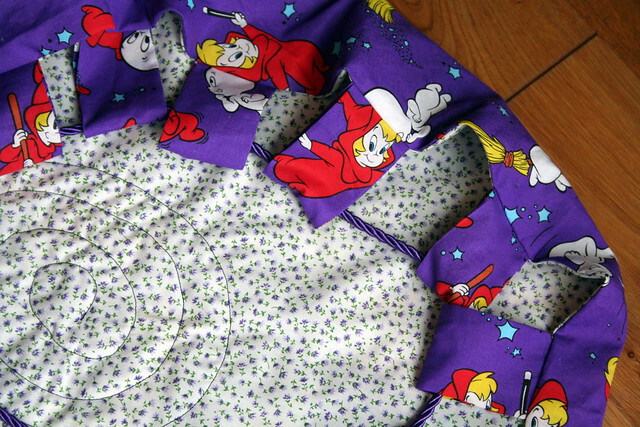 The Balloon Skirt in the book has both a zip and a waist tie. I couldn’t really see the point of including both, and as my fabric had a slight stretch I actually did away with any fastening (yay! 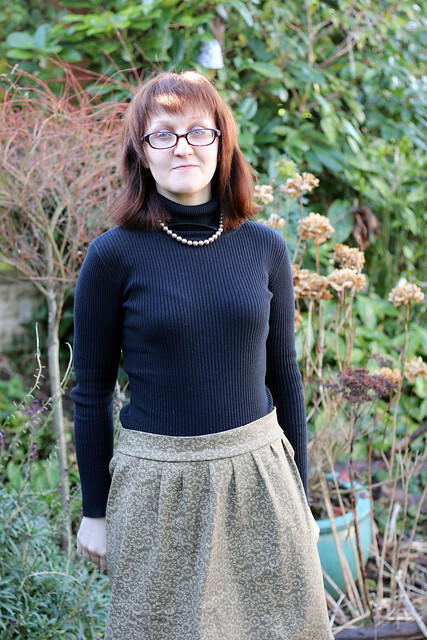 ), as it’s possible to slip the skirt on and off. 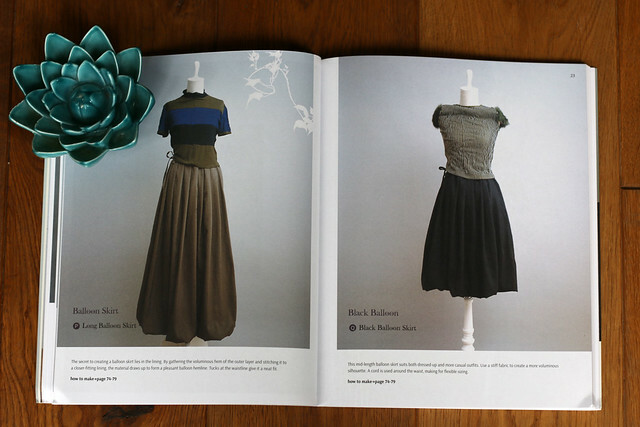 The Balloon Skirt in the book is constructed from three panels, brought in using pleats, to create lots of volume. 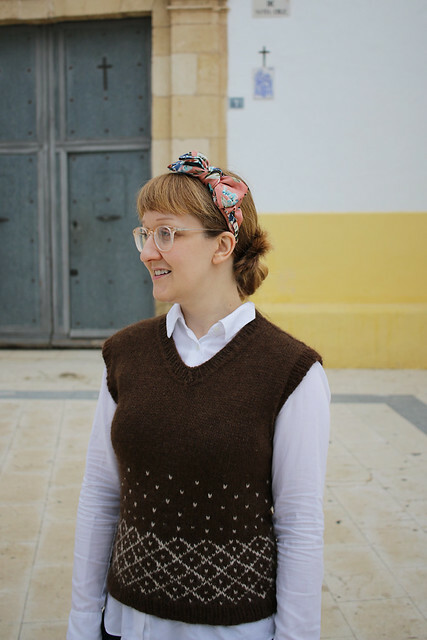 I cut my skirt as one single panel along the full length of my fabric. As a result, my pleats needed to be much narrower so the ‘balloon’ effect isn’t as dramatic. 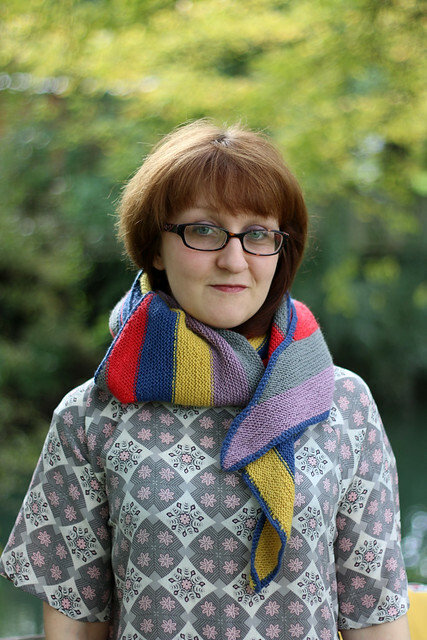 I would like to make another version with greater volume for the full effect – perhaps in the longer length, which I love the look of in the book (although the tops that both versions are styled with don’t do much for me). 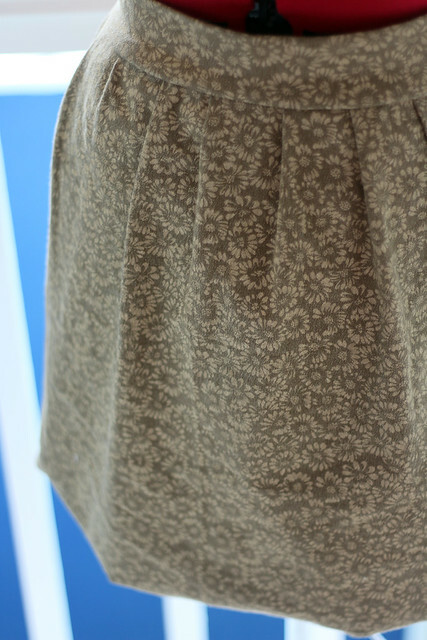 Construction wise my skirt is two loops of fabric – the outside loop is attached to a shorter loop at the hem to create the balloon effect. The two loops are attached at the top by a waistband. Super simple. The fabric used is a jacquard from Barry’s. 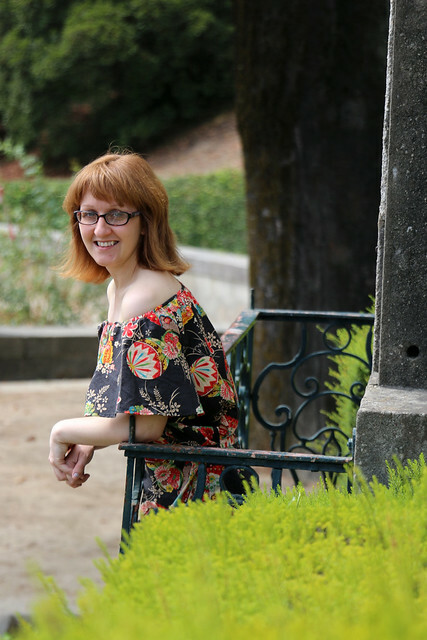 It’s a daisy print in two shades of gold, and has a slight one-way stretch. I bought way too much (as per usual, which is why my stash is full of small, useless lengths of fabric) and have quite a bit left over that I think would make a great pair of shorts. 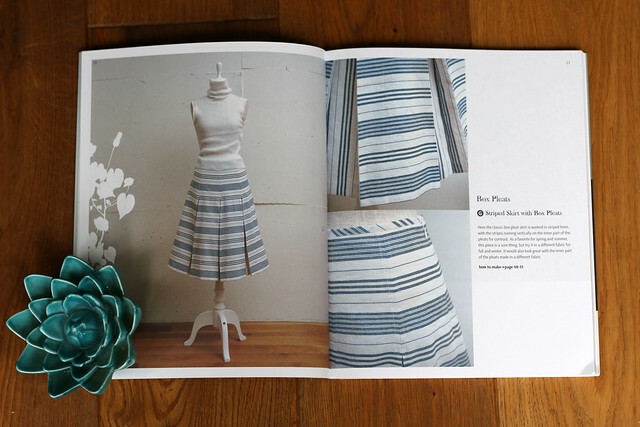 Like other Japanese pattern books, minimal written instructions are provided in Stylish Skirts, but each project is accompanied by a number of illustrations. 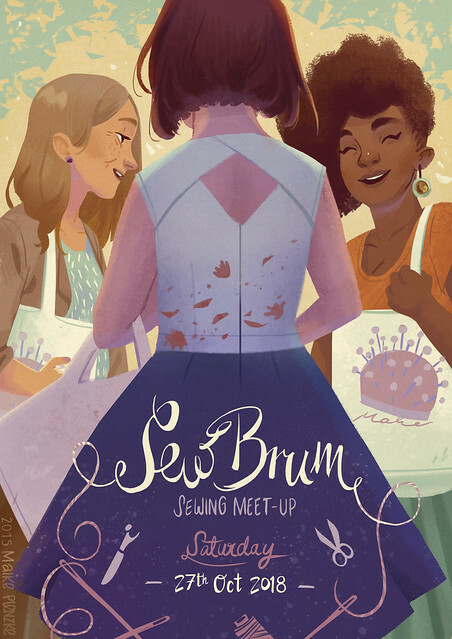 Personally I think this approach (and the premise of the book) suits intermediate sewers more than beginners, as it helps to have an existing knowledge of skirt construction. 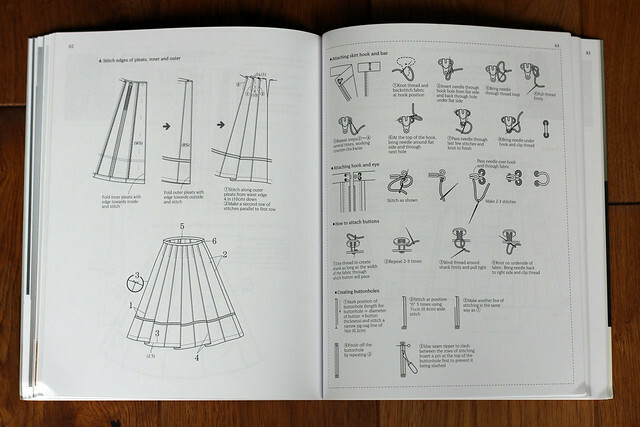 The book makes some assumptions regarding the reader’s understanding of how to draft the skirts, which a beginner might find confusing; for example, it doesn’t explicitly state in writing how to calculate the skirt measurements (as least for the skirt I made), how to take measurements, etc. 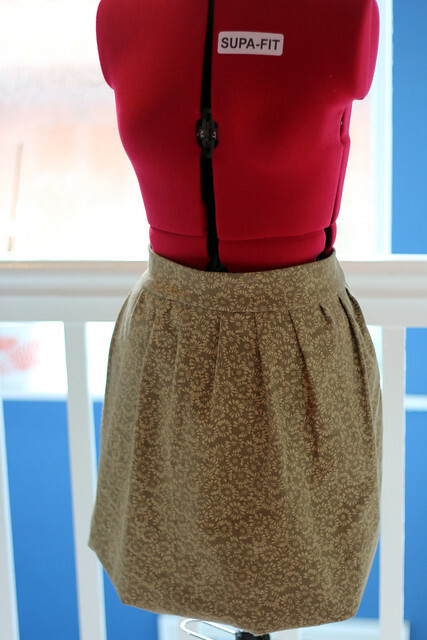 The skirts included cover a wide variety of styles. 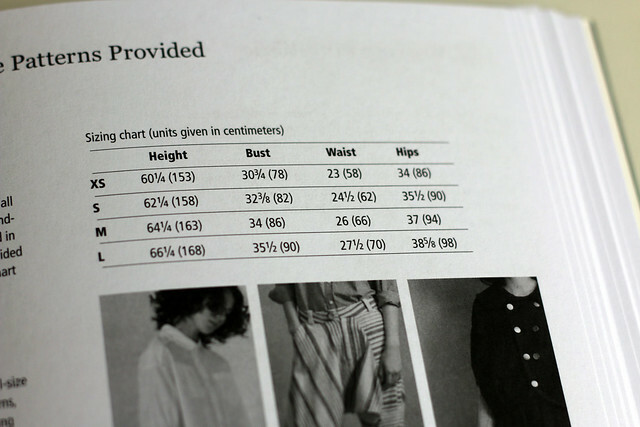 Although the projects are all women’s skirts, it would be fairly easy to create children’s versions by altering the measurements. 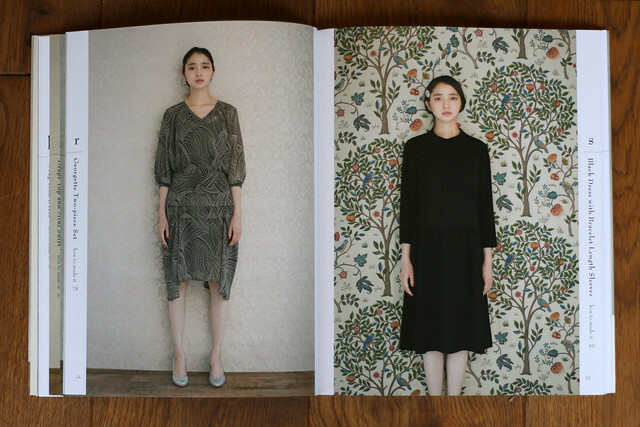 The skirts are styled on dress forms which doesn’t appeal to me as much as being styled on models; although it does potentially make the book look distinct from other Japanese pattern books, which do admittedly often look quite similar (although It’s a look I love). 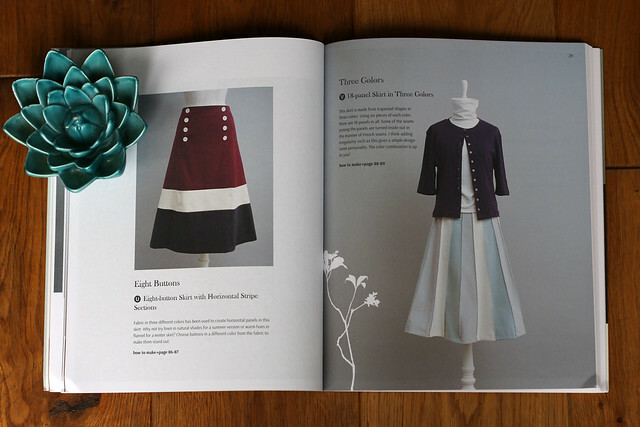 Sew Busy Lizzy has also reviewed Stylish Skirts and sewn two skirts from the book. 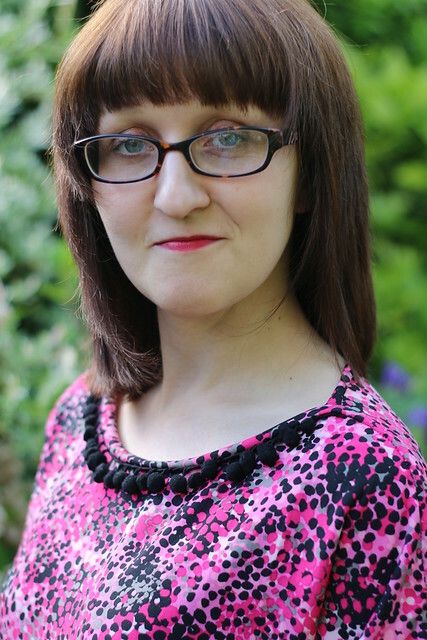 Make sure you check out her review also. 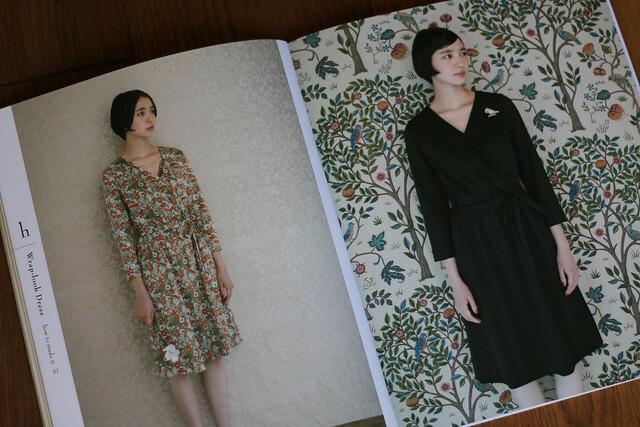 Categories: book review, Sewing | Tags: #jsa2015, Japanese, Sato Watanabe, sew, sewing, skirt, stylish skirts, Tuttle | Permalink. 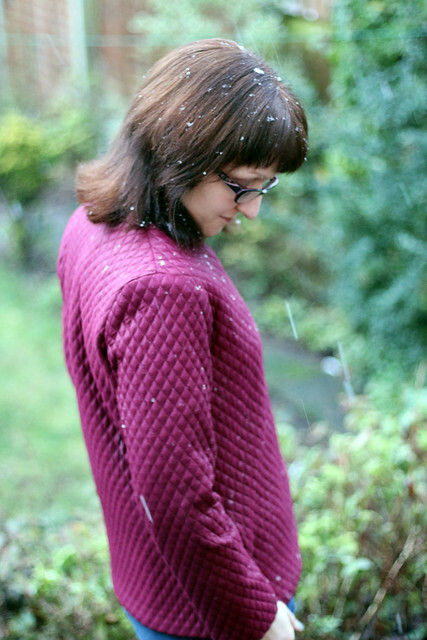 I did the insane blogger thing and took these photos outside while it was snowing (not very heavily) today. I spent the day faffing around and left it until the last 30 minutes of daylight to get these pictures – roll on spring and decent daylight hours! 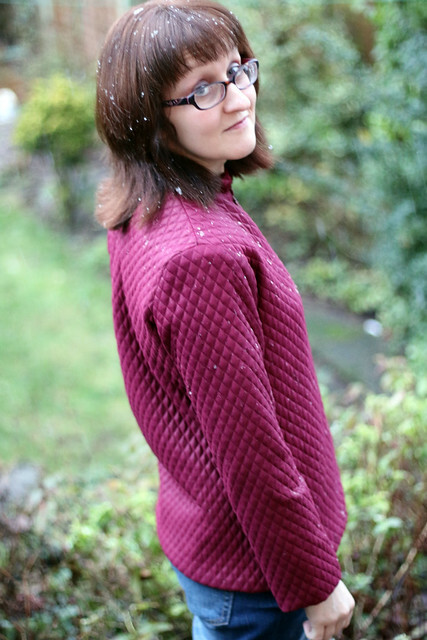 The photos were taken on the patio just outside our garden door, as Phil sensibly stood inside the house and took these photos through the doorway, while I stood in the snow! Smart man. 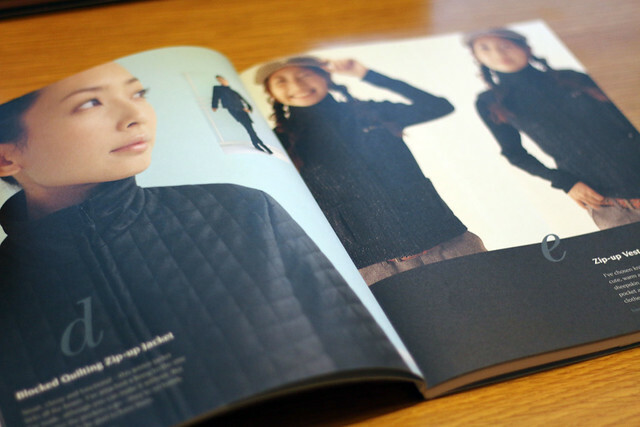 This is the Blocked Quilting Zip-up Jacket from Basic Black: 26 Edgy Essentials for the Modern Wardrobe by Sato Watanabe, made in size small. 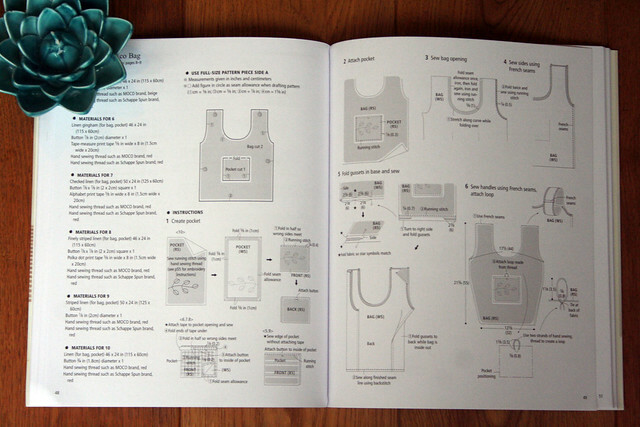 The book includes fairly brief written instructions (6 steps for this jacket), but most steps are illustrated, often with multiple illustrations, so you’ll get on better with the book if you’re a visual learner. 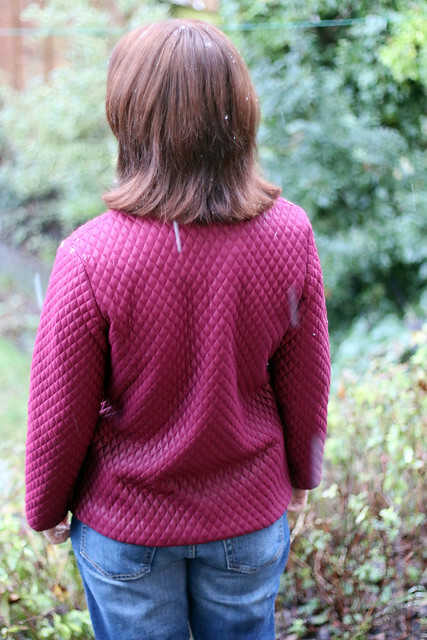 The only changes I made to the pattern were reducing the width of the shoulders slightly, and reducing the height of the collar, as I initially found it too high and knew I’d never do it up. 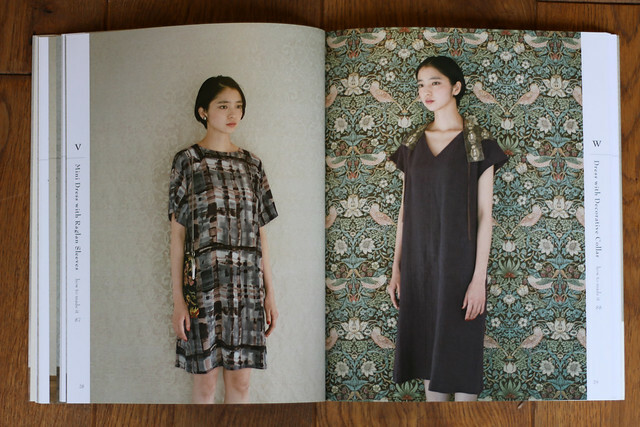 The patterns included in the book are provided on two pattern sheets. Pattern sheets are double sided, and pieces are overlapped, so patterns need to be traced. The major pieces for each pattern are included, although seam allowances aren’t included and need to be added on; for simple shapes (i.e. squares and rectangles) the book instead provides measurements. 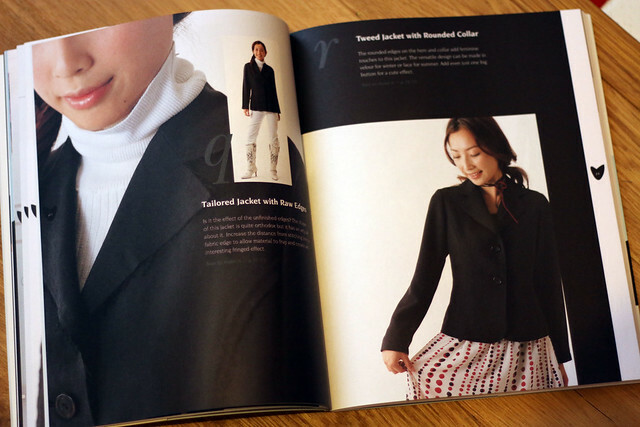 For the lined clothing items, including this jacket, the book doesn’t include separate pattern pieces for the lining, but provides instructions on how to re-size the main pattern pieces. 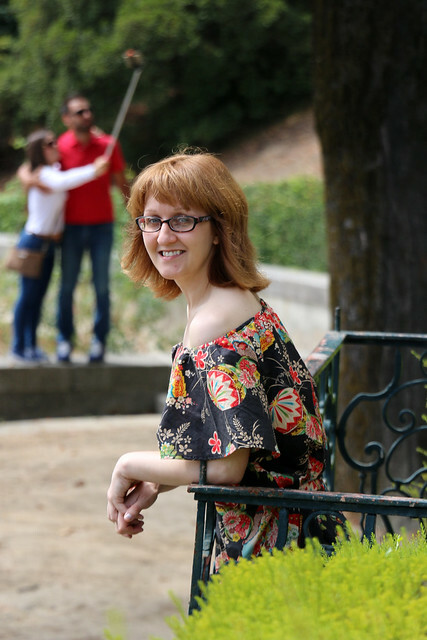 Measurements are included in centimeters and inches – which is helpful for someone like me who chops and changes between both systems! I am a bit lazy when to comes to tracing patterns so initially skipped the lining in order to avoid creating the pattern pieces. However, my fabric was too lightweight to get away without a lining, thus forcing me to be good, so I created the pattern pieces and cut a lining in the end. 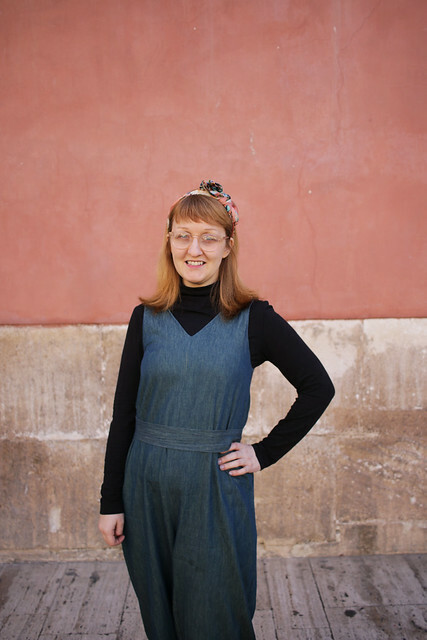 The theme of Basic Black is clothes made in black fabric (which I obviously ignored when I picked my own fabric!). 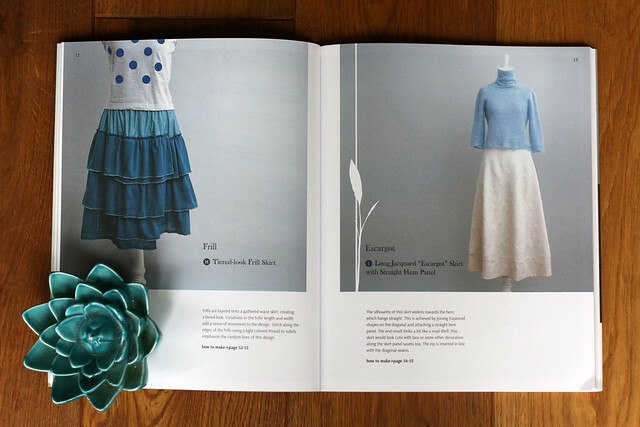 With such a broad theme, the 26 patterns included in the book cover quite a wide range, from simple tops and skirts to jackets, shirts and coats. The biggest disadvantage of picking black clothes as a theme is that black is difficult to photograph. The book does suffer from this a little, as it’s difficult to make out the more intricate details on a number of outfits. 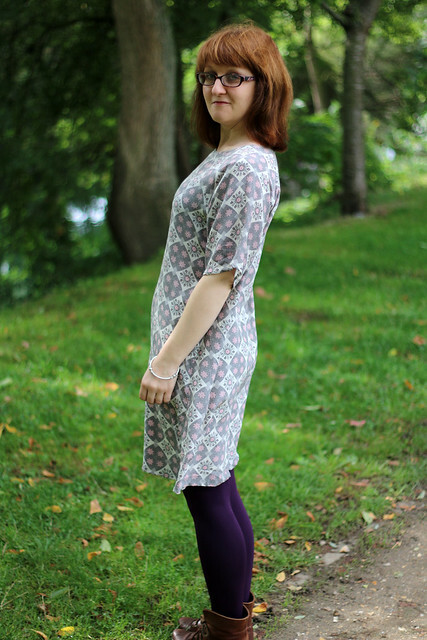 Patterns are included in four sizes (S, M, L, XL), and only a finished size chart is included. 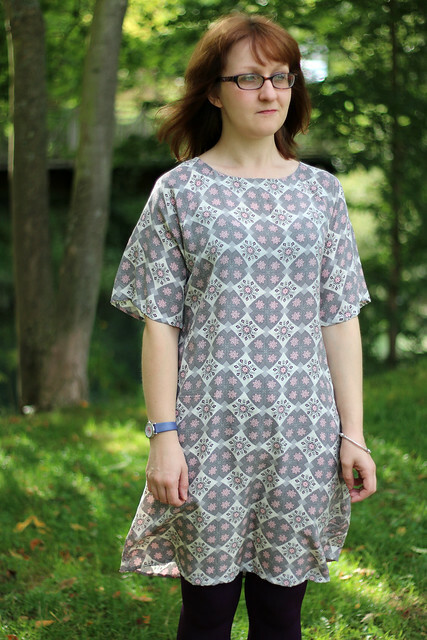 It would be worth checking that one of the four sizes will be a decent match for your measurements before ordering the book, although a lot of the patterns have a looser silhouette which allows for a little leeway. 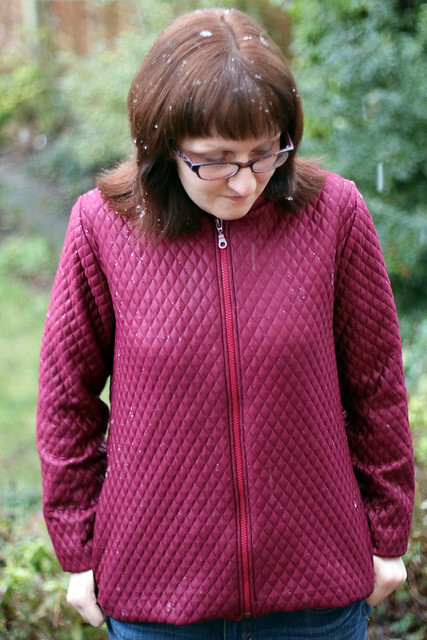 I was impressed at the number of more complex patterns included, including coats (2 patterns), jackets (3), and shirts (3). 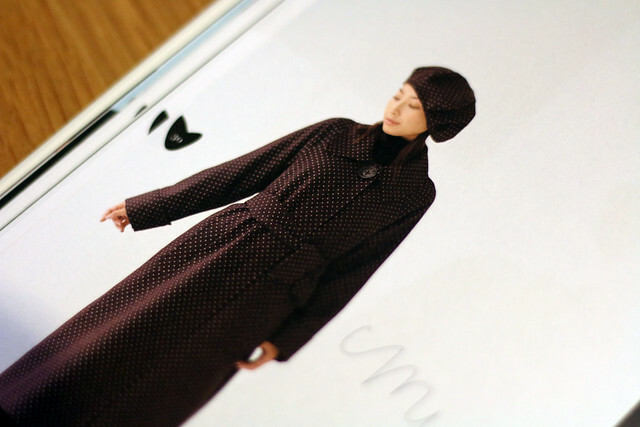 The book also includes a pattern for a coat dress and a simple Cheongsam, although this is unfortunately one of the patterns where it is difficult to make out the details in the photo. 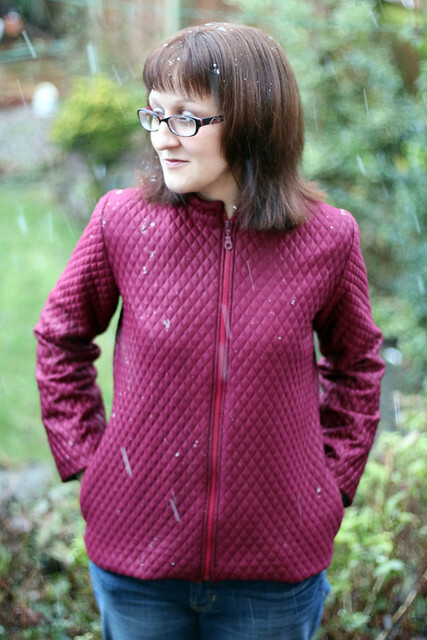 I also love the final pattern in the book, this gorgeous raglan coat. 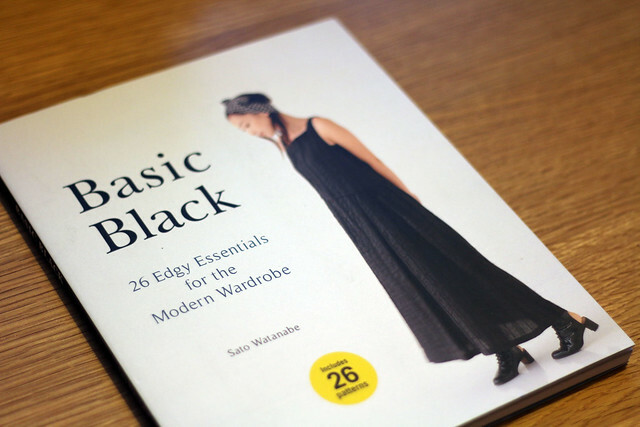 Disclaimer: I was provided with a free copy of Basic Black in exchange for a review; all opinions expressed are my own. Post contains an affiliate link. 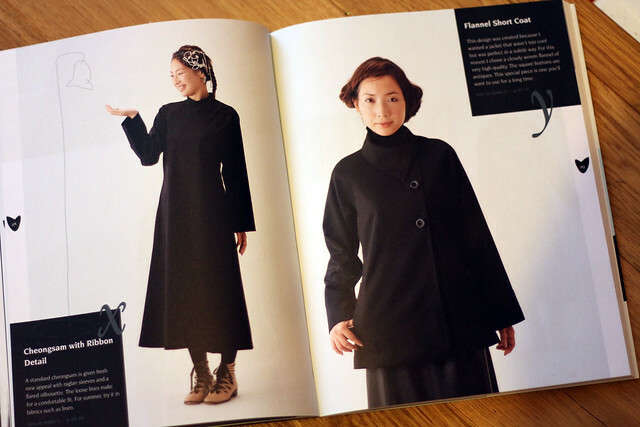 Categories: book, book review, pattern | Tags: basic black, book, jacket, Japanese, quilted, red, review, Sato Watanabe, sew, sewing | Permalink. 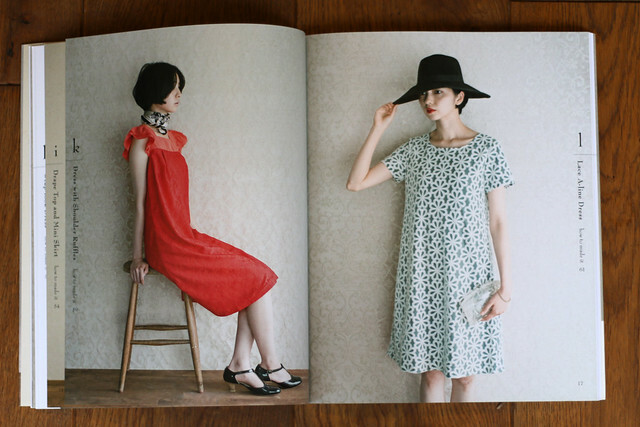 I’m a big fan of staring at Japanese pattern books – the colours and layouts are just so satisfying. 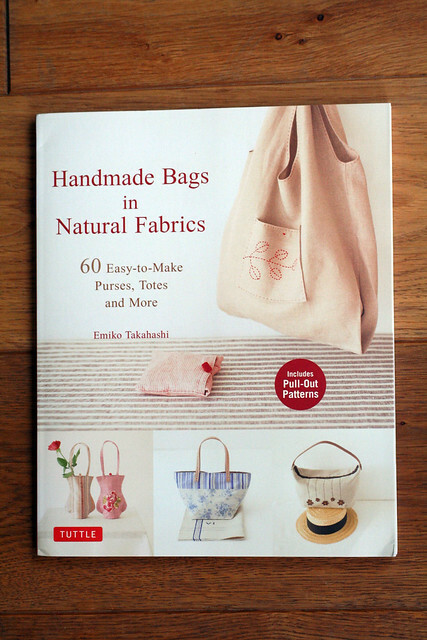 This bag is from a new English-language release from Tuttle Publishing, Handmade Bags in Natural Fabrics: Over 25 Easy-to-Make Purses, Totes and More by Emiko Takahashi. 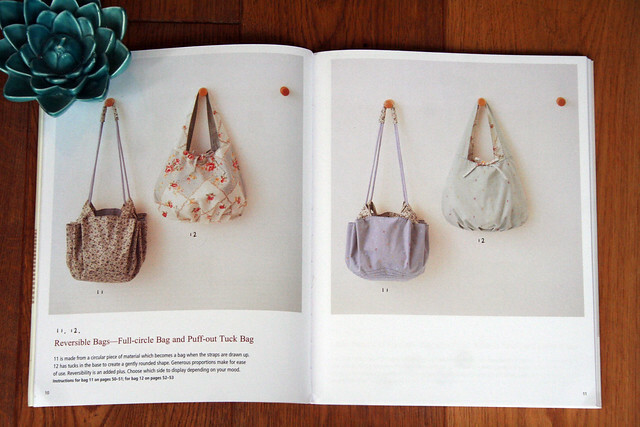 This is the Full Circle Bag project from the book. 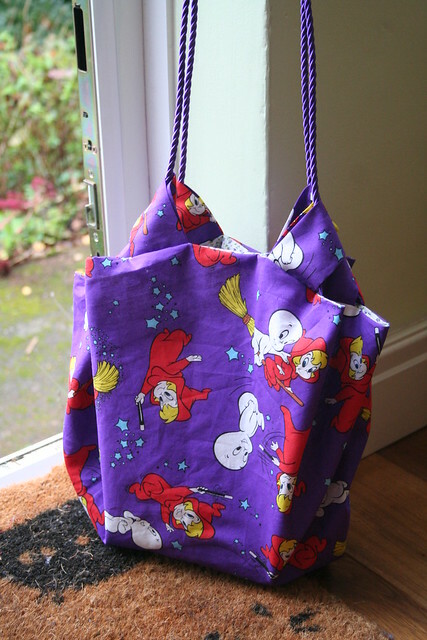 This bag is reversible although there is no way I’m ever going to reverse it and hide that Casper & Wendy print! 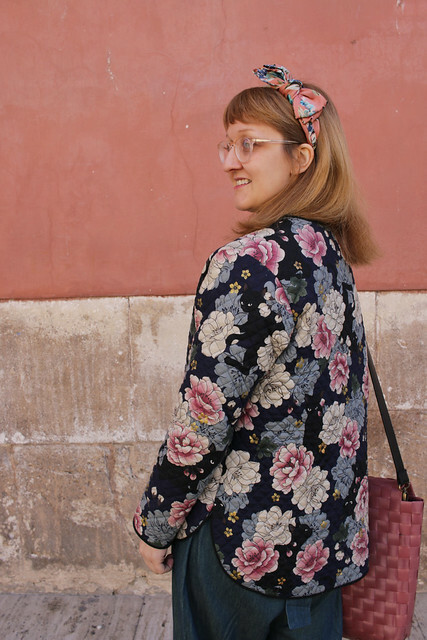 Peter recently asked on his blog whether sewists ever reverse their reversible makes – I know I don’t, I pick a favourite side from the start! The bag is a large circle which is pulled in via 16 loops which the strap is threaded through. 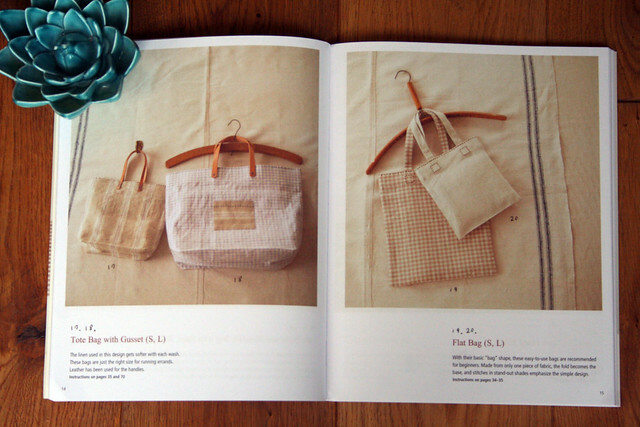 One of the distinguishing features of the book is that each project includes some element of hand sewing (and it is intended that the bags can be sewn wholly by hand if so chosen). 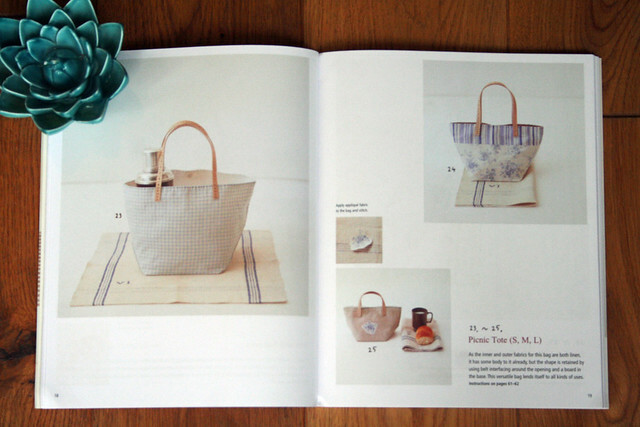 For the project I made, the book suggested hand stitching a circular design on the bottom of the bag. I placed a circle of interfacing between the two layers of the bag and then machine stitched a circle design to help create a more sturdy base. 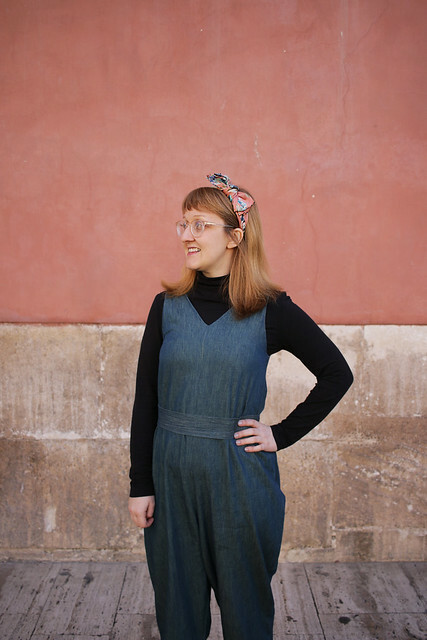 I know this looks like a slightly overdue Halloween project but I actually bought this fabric from Abakhan in Manchester ages ago with no project in mind. 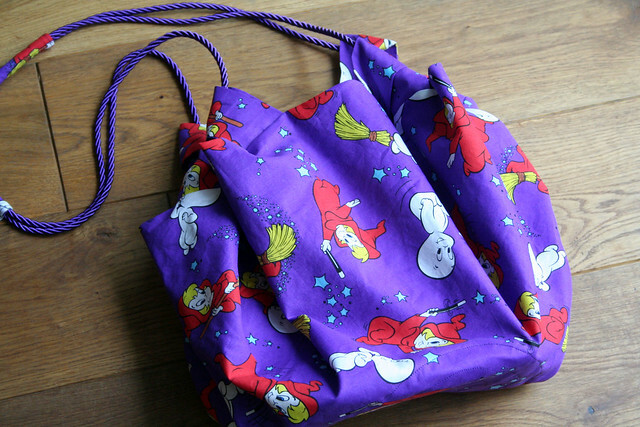 When I was shopping my stash for a suitable fabric for the bag I decided to go with Casper and Wendy. 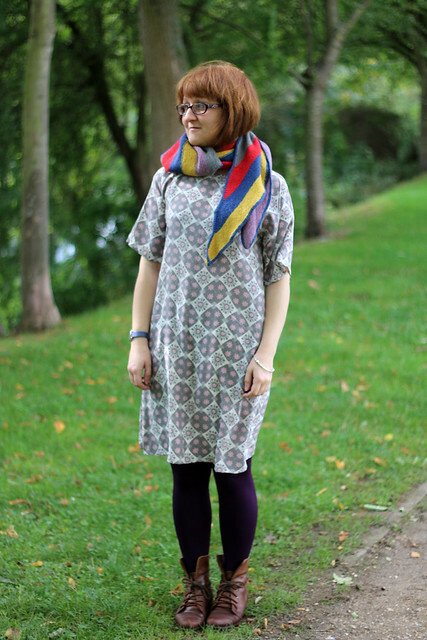 I have loads of this fabric left so it will be making another appearance at some point. 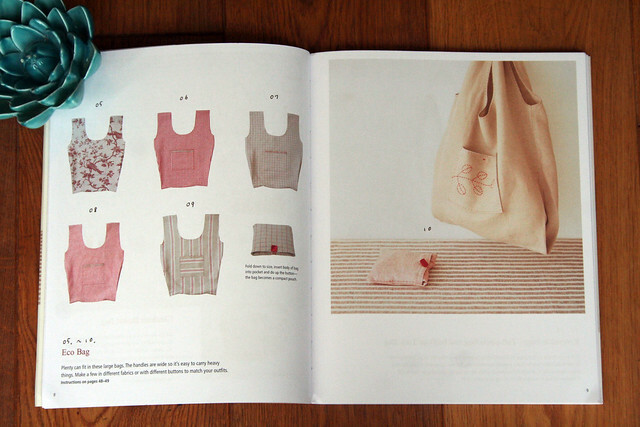 There’s a real mixture of bag projects in the book. 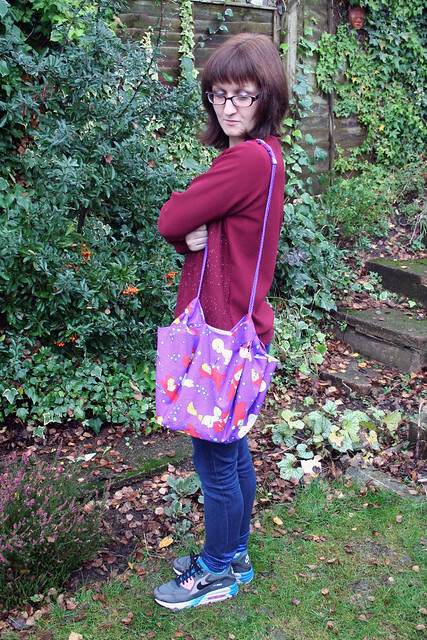 There are 25 projects with customisations for 60 bags. The smallest are actually purses, the largest are totes. I’m intrigued by the Checkout Basket Bag. 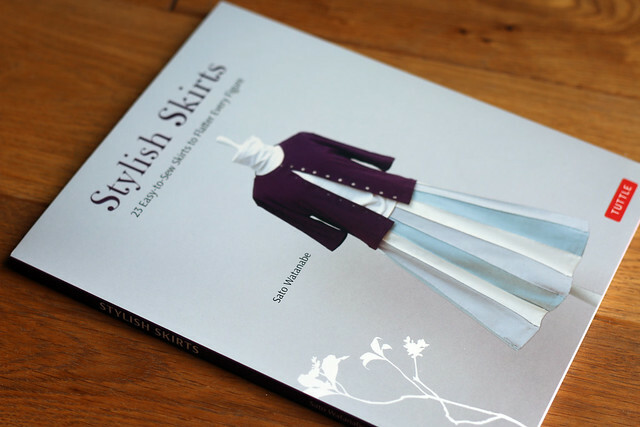 I’m not sure how useful it would really be but it’s certainly different and I love the styling used in the book. The Eco Bag is a nice simple design for a reusable bag and they would be quick to whip up as extra Xmas gifts. 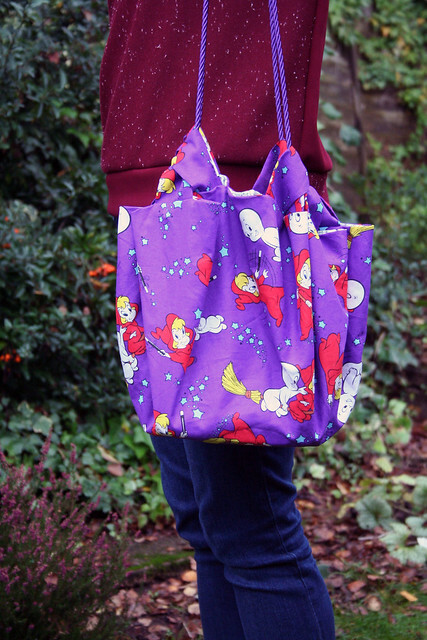 As a lover of a large handbag (I tend to carry around a lot of stuff…) a Large Tote or a Picnic Tote has been added to my list of future makes. 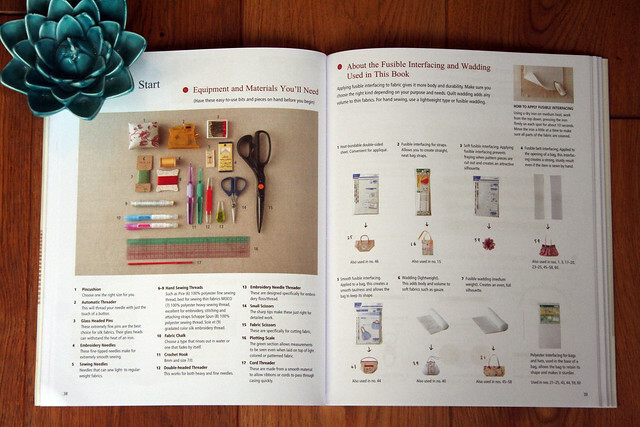 At the back of the book there’s a nice ‘before you start’ section which includes advice on which type of interfacing and which bag accessories to use for each of the projects. The projects all appear relatively simple and each project has clear instructions with lots of diagrams. 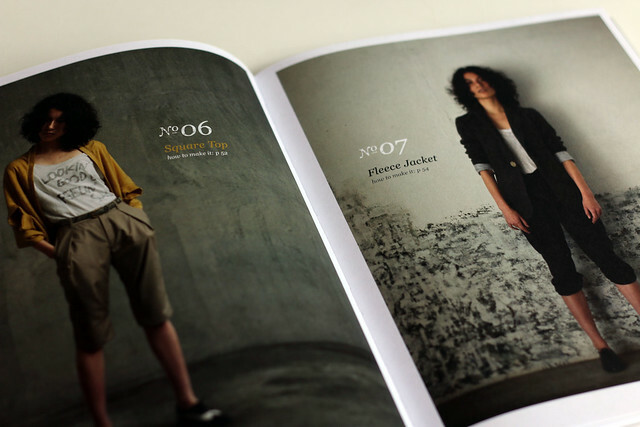 A pull out pattern sheet is provided at the back of the book although the larger pattern pieces are only provided in part (e.g. for the project I made, 1/4 of the pattern piece was provided, meaning it needed to be traced 4 times to create a full pattern piece). 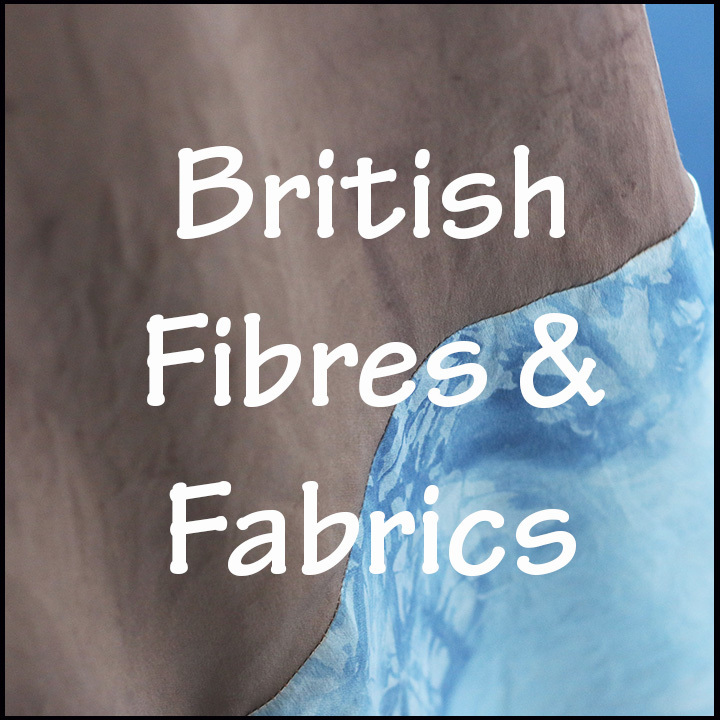 Seam allowances also need to be added to some of the pattern pieces (although it is clearly stated where these are required). Do you ever sew bags? 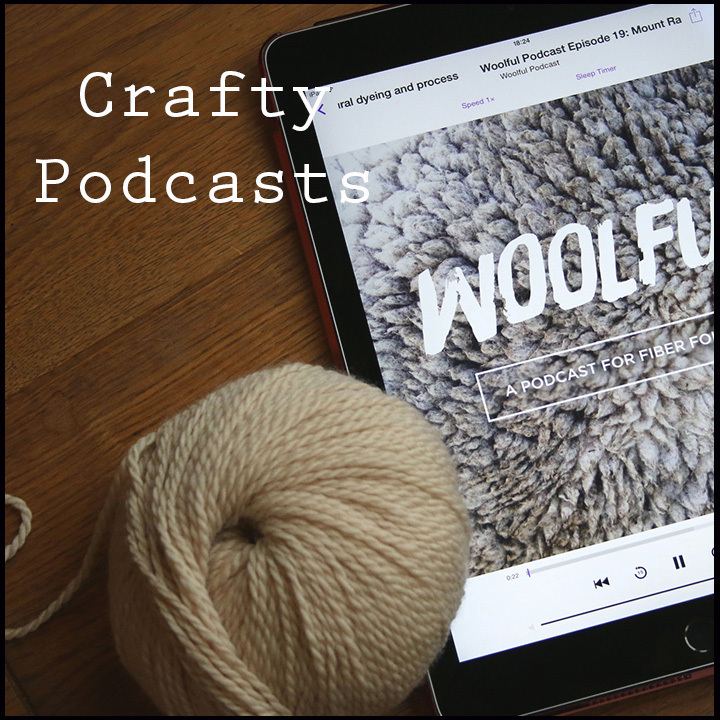 Planning to make any for gifts this Christmas? Disclaimer: I was provided with a free copy of Handmade Bags in Natural Fabrics in exchange for a review; all opinions expressed are my own. Post contains an affiliate link. 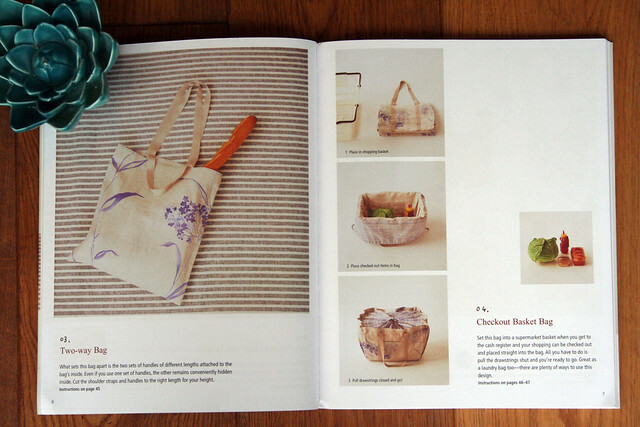 Categories: book review, Sewing | Tags: bag, book, casper, Emiko Takahashi, Handmade Bags in Natural Fabrics, Japanese, pattern, review, sew, sewing, Wendy | Permalink.